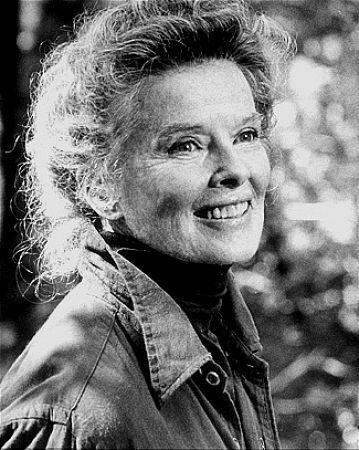 Katharine Houghton Hepburn was born into an extraordinary family. Her father Thomas Hepburn was a urologist and helped establish the New England Social Hygiene Association which educated people about venereal disease. Her mother Katharine ‘Kit’ Houghton became the head of the Connecticut Woman Suffrage Association and campaigned for birth control. Katharine was their second child and their first daughter. Tom and Kit were very supportive of each others’ careers and their six children were encouraged to form their own opinions and participate in debate. 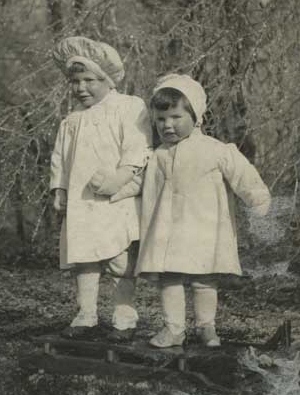 The family was a tight knit group and although Katharine took care of her little brother and sisters like a second mother, she was a bit of a tomboy. In 1921, tragedy struck when 13-year old Katharine found her older brother Tom’s lifeless body. Although it appeared to be a suicide, the Hepburn family stated that it was probably an experiment gone wrong. Whatever the case, the death of her brother affected Katharine deeply. She became withdrawn, nervous and did not feel comfortable with the kids in school anymore. She dropped out and got a private tutor. During this time, Katharine developed an even closer bond with her parents and her younger siblings. She did not have many friends and was nervous when she started to attend Bryn Mawr college in 1924. Her fellow students thought she was strange and aloof. But something good came out of her college experience: Katharine decided she wanted to become an actress. She started participating in plays and subsequently made some friends. In 1928 she graduated with a degree in philosophy and history and a determination to become a famous actress. The day after graduating, she travelled to Baltimore and played small roles in a couple of theatre productions. But her high pitched nasal voice was a problem and she was advised to study with a voice tutor in New York. Meanwhile Katharine was in a relationship with socialite businessman Ludlow Ogden Smith. According to all reports the relationship was based on a deep friendship, but lacked romance. Nevertheless, the couple got married in December 1928. Katharine appeared in multiple plays during this time, but was fired more than once because of her attitude. Katharine had struck op a close friendship with socialite Laura Harding and the two women even lived together, while Ludlow travelled back and forth. Still, every weekend Katharine would come back to her parents house. In 1932 Katharine finally got her big break when she played the lead in the play The Warrior’s Husband. A Hollywood talent scout saw her performance and asked her to do a test for the upcoming R.K.O film A Bill of Divorcement. Director George Cukor liked what he saw and convinced the studio to sign her, even though she demanded a high salary. She starred opposite John Barrymore and, though nervous, was a great success. At age 25 she moved to Hollywood, again with Laura, and Ludlow continued to travel back and forth. Although her second film, Christopher Strong, was not a success, Katharine was on a winning streak when she made Morning Glory and Little Women back to back. She won the Academy Award for Best Actress for Morning Glory and Little Women was one of the biggest successes Hollywood had ever seen. But after this fast success, Katharine was out of luck. Her marriage to Ludlow was falling apart and in 1934 the two got divorced. They would remain close friends for the rest of their lives though. She wanted to prove herself on Broadway, but her play The Lake failed to be successful. She subsequently played in a series of films that failed at the box-office, such as Alice Adams and A Woman Rebels. In the meantime she had reportedly started a troubled relationship with her agent Leland Hayward and Laura had moved back home. Her relationship with the press had always been troubled. She did not care for them, refused to pose for the paparazzi and rarely gave interviews. During this difficult time in her career she tried to make amends, but it was too late to save her image: she was dubbed arrogant and weird. 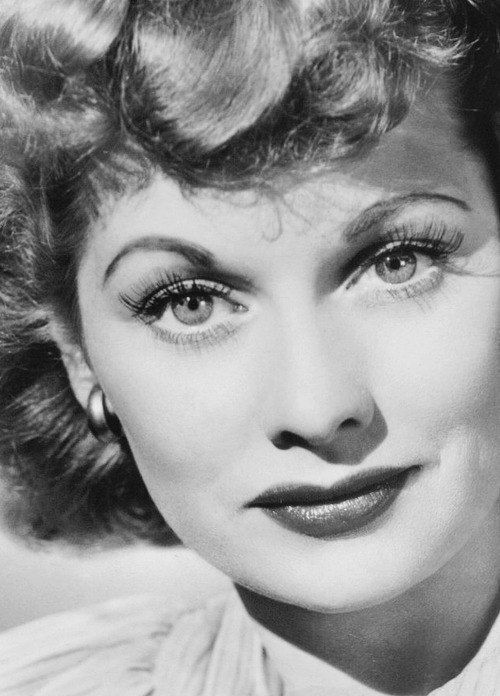 Although her next films, Stage Door, Bringing Up Baby and Holiday, are considered classics now, they were not very popular upon their release. And soon enough, the Independent Theatre Owners of America dubbed her ‘box-office poison’. Mind you, she was in good company: Marlene Dietrich, Joan Crawford and Greta Garbo were on the list as well, but the studios took these lists seriously and Katharine was on thin ice. She returned home once again to think things over. One of her biggest supporters during this time was famous billionaire, and R.K.O’s backer, Howard Hughes. But R.K.O was not happy with Katharine, so they offered her the lead in a mediocre b-movie called Mother Carey’s Chickens. Katharine turned it down and, realizing she had no future at R.K.O, bought herself out of her contract. Meanwhile play writer Phillip Barry had an idea for a new play that he dubbed ‘The Philadelphia Story’. Katharine loved it and Barry modeled the leading character Tracy Lord after her. With the permission of her father, who still handled her finances, she decided to finance the play, along with Howard Hughes. She also purchased the film rights and was very involved in the creation of the play itself. 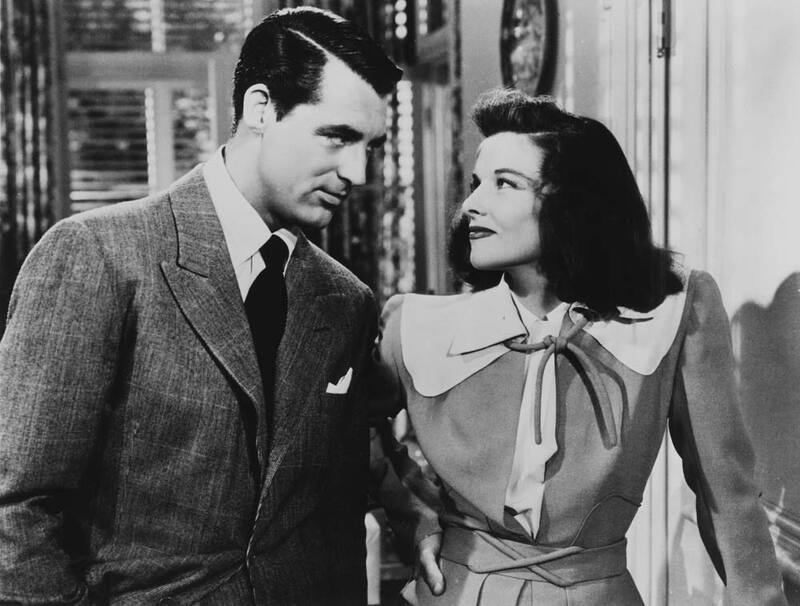 And sure enough, The Philadelphia Story was a big hit from the get go. The play went on two successful tours and Katharine started negotiating with film studios. Eventually, she sold the rights to MGM, on the condition that she was to star. Just like the play, the film adaption was a huge hit and it earned Katharine her third Academy Award nomination for Best Actress. Howard Hughes grew tired of pursuing her and moved on, although their split was amicable. 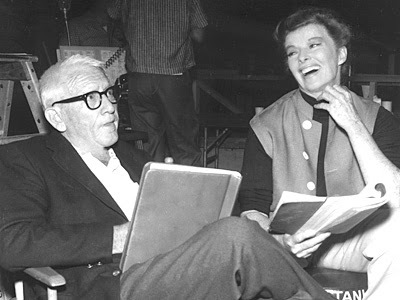 But Katharine was on a roll and she was also very involved in the making of her next film: Woman of the Year. She contributed to the script, bought it and negotiated with MGM once again. This time, she got the leading man she had wanted for The Philadelphia Story as well: Spencer Tracy. Though she had never met him, she greatly admired him as an actor. As soon as they started shooting, their chemistry was undeniable. Spencer may have been married with two children, but he was a known womanizer. He refused to get a divorce though, because he was a staunch Catholic. Nevertheless, Katharine and Spencer started their famous affair. Woman of the Year proved to be a great success and MGM wasted no time and offered her a contract, which Katharine happily signed. On top of that, her role in Woman of the Year earned her her fourth Academy Award nomination. She was back on top. MGM was quick to capitalize on the chemistry between their two stars and paired Katharine and Spencer up once again in Keeper of the Flame. But Katharine’s relationship with Spencer gave her a new goal: keeping him sober. She admired the confident, straight-forward and talented Spencer immensely, but he was a known alcoholic. 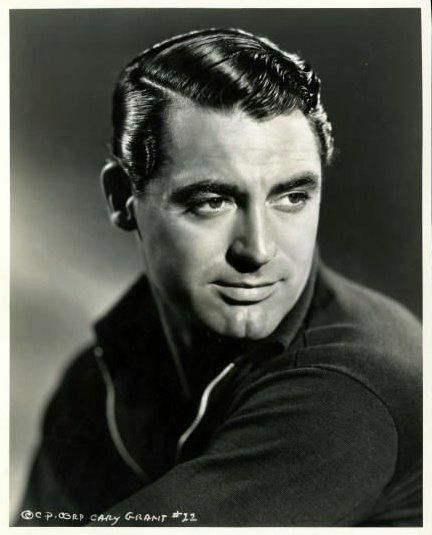 Therefore, Katharine tried to keep him away from his drinking buddies, like Clark Gable, and tried to distract him when he had the urge to drink. She would also care for him when he had a bad hangover or suffered from bouts of depression. Because of this, her career suffered. Her choice of film roles were dedicated to Spencer’s needs. Between 1942 and 1950 she made ten films, six of which were with Spencer. The films did well, but were not the great successes she had gotten used to. The public turned on her once more in the late forties, when she publicly opposed to the anti-communist ‘wich hunt’ in Hollywood. People would picket theatres where her movies were being played. But the public could not resist her pairing with Spencer and the 1949 comedy Adam’s Rib was a huge box-office success. Although Katharine was well in her forties during the fifties, an age when most actresses retire from the public eye, she had no intention of slowing down. She tackled Shakespeare on Broadway and filmed one of her most iconic films: The African Queen. Filming in Africa was harrowing though. She became very ill with dysentery, like many of the film’s cast and crew. But she loved Africa and would later release a memoir about this time. The movie established her status as a star. She received her fifth Academy Award Nomination and she proved that she could be successful in a film without Spencer. But she suffered a personal setback: her beloved mother passed away. Her father, whom she admired an adored, remarried within a few months. Katharine dealt with this by working even harder. She starred in Pat and Mike with Spencer and played on West End and Broadway with the play The Millionaires. By this time, she was so exhausted that it proved no problem that her MGM contract had come to an end. She travelled and tried to convince various studios to make a film version of The Millionaires, to no avail. Spencer was not a traveler, but by this time they had become so close, that nothing seemed to be able to tear them apart. They never lived together and Spencer had affairs with other women, but Katherine did not seem to mind as she liked her independence. Spencer was in bad shape, twice people assumed he was going to die any minute. Miraculously, Spencer recovered well enough to make one more film with Katharine: the 1967 film Guess Who’s Coming to Dinner. The whole schedule was created around Spencer and his health. But Spencer was very ill during filming and he passed away 17 days after the last day of shooting. He never witnessed the film’s success. Katharine won her second Academy Award for her role. She stopped by her hometown to visit her brothers and sisters and get some rest. But after a couple of weeks she once again chose to deal with her grief by working hard. She won another academy award for her role in The Lion in Winter and received a Tony award nomination for her role as Coco Chanel in the musical Coco on Broadway. In the aftermath of Spencer’s death, the press and the public found out that he and his wife had been separated for thirty years and that Katharine was the one who had always been by his side. She was seen as Spencer’s widow and although she was happy to talk about his brilliance and strong personality, she refused to give details about their relationship out of respect for his wife. Still, she missed him so much, that she lived in his old cottage instead of her own townhouse. She played in a number of mediocre movies, before finally turning to the new frontier: television. She made some successful television movies and even earned an Emmy Award. Katharine had started suffering from palsy, but taught herself techniques to hide it on screen. She was still athletic though: she swam a lot, preferably in cold water, and loved to ride her bicycle. She had her close circle of friends, still containing Laura and Ludlow, and visited her brothers and sisters frequently. In the eighties Katharine worked less frequently and suffered from some physical setbacks. She dislocated her shoulder while playing tennis in 1980 and in 1982 she crashed her car and her foot had to be reattached. She spent more than a year recuperating at her sister’s house. But she got back to work as soon as she could. During the eighties, Katharine was one of the only stars of the Golden Age who was still acting. Most of her peers had retired, were sick or had passed away. There was a renewed interest in Katherine and she proved to be popular even amongst teenagers who saw her as a role model. She was voted as ‘favorite movie actress’ in a poll by People magazine and participated in many interviews. In 1991 she wrote an autobiography entitled ‘Me: Stories of my Life’ and in 1994 she played her last role in the television film One Christmas. But in the late nineties her health began to deteriorate and she started showing signs of dementia. In may 2003 an aggressive tumor was found in her neck and on June 29 she passed away at the Hepburn family home at the age of 96. 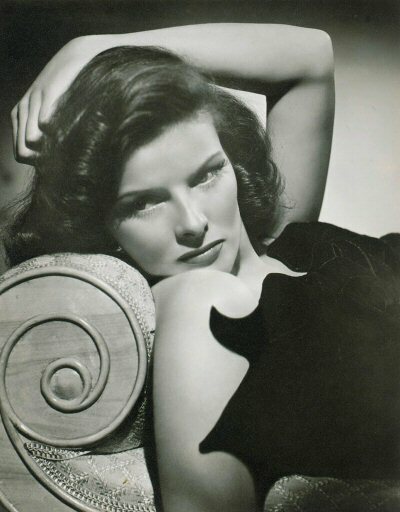 See her life in pictures in the Katharine Hepburn Gallery. Great blog design! What’s it called? Playwrite Phillip Barry did not model the heroine of The Philadelphia Story after Katherine Hepburn, but after his friend, real-life Philadelphia Mainline socialite Helen Hope Montgomery Scott. However, once the play was written, it was clear Ms Hepburn was a natural to take on the iconic role. Both were ladies were slim, athletic, attractive, somewhat unconventional and born into privileged WASP families who increased their wealth through marriage (Scott’s) and career (Hepburn’s).